Even though Varun is the latest entrant to the tinsel town, he has managed to hook onto the concept of vanity by getting this stylish van. It is loaded with designer furniture and glass doors. You can clearly see that it’s one heck of a mobile bachelor pad! 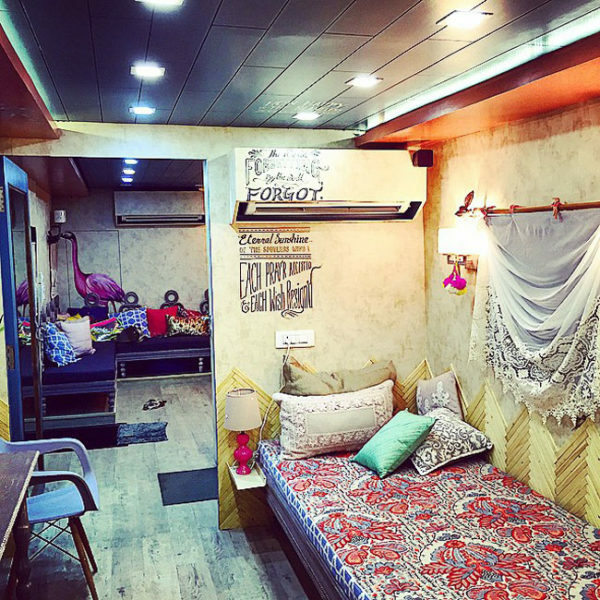 Priyanka has her van’s interiors screaming “For the love of music”. The diva of Bollywood has shown the perfect blend of music and comfort that a person could possibly wish for while on the road. The van makes you feel at home. The Bollywood heartthrob stole the heart of his fans yet again, with his stylish vanity van. It throws a very futuristic vibe, and the blue lighting gives a very groovy edge to the decor. You definitely can feel the beat in here! As we know, Sonam is a classy and stylish actress in Bollywood, and we can be assured that the same nature is reflected her vanity van. Flat screen TV, LED lights and those elegant couches, makes you want to party inside and scream “woohoo”. His van is not just a caravan to live in but also to exercise in. He has managed to make the best mobile gym out there by having different weight machines and gym equipment properly stocked up. He really takes his fitness regime seriously! Alia has literally portrayed her true herself through her van. One can see how colourful and bubbly the interiors are in comparison to the regular elegant decor the stars choose. An eclectic way to design the house. How can we forget Salman when it comes to vanity? His van has a luxurious rehearsal room, wherein he reads and practices the scripts. He also a huge picture frame of himself in the lounge part of the van. 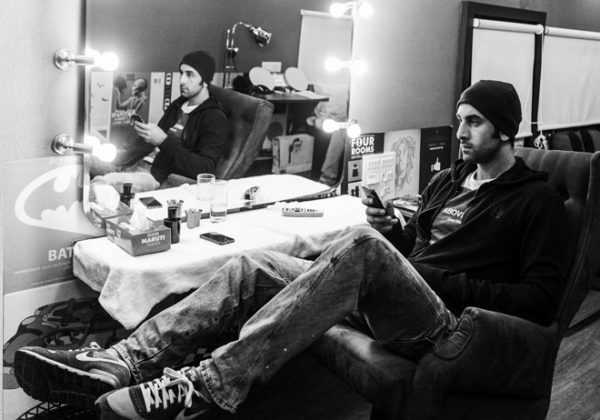 The latest entrant to the vanity affair is the king of Bollywood, himself. 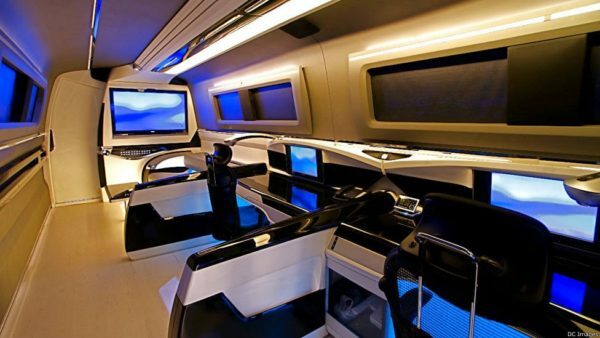 He recently got DC (Dilip Chhabria) to custom design his van which most certainly beats both of his residences put together. 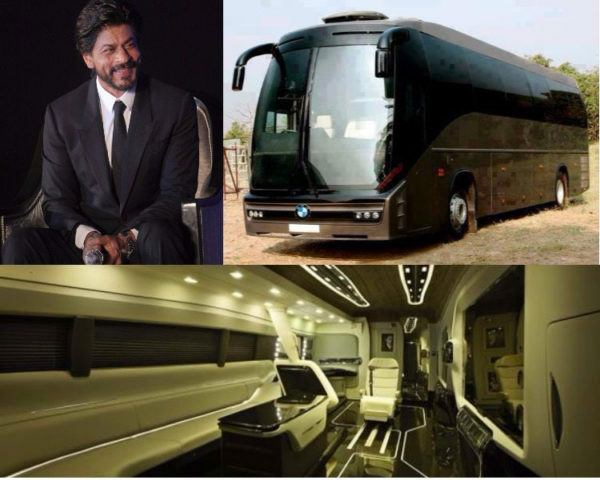 Apparently, SRK made it large by getting a vanity van for whopping Rs. 4 Crore. His vanity van was made in Bulgaria. It has features like a massage chair, kitchen, dining area, office space, bedroom, etc. 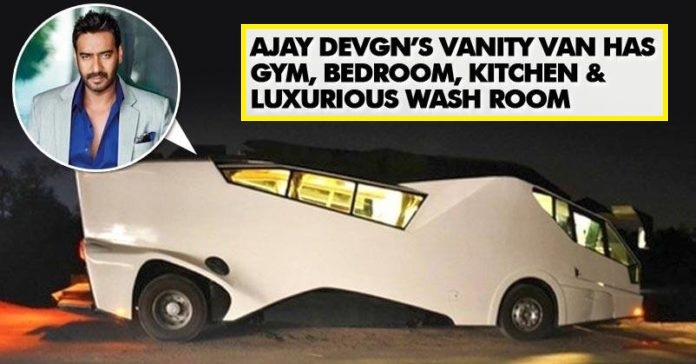 When he was shooting for Singh Is Bling in Romania, and the vanity van which was provided did not suit him at all so then he decided to get a customized one for himself. He belongs to a family of artist and the love for Bollywood is deep-rooted in his mind and heart. His van might be very simple, but it has retro film posters stuck everywhere. It has a music system, colourful cushions to lift up a gloomy mood. He also loves reading books so you can find novels in his van as well. 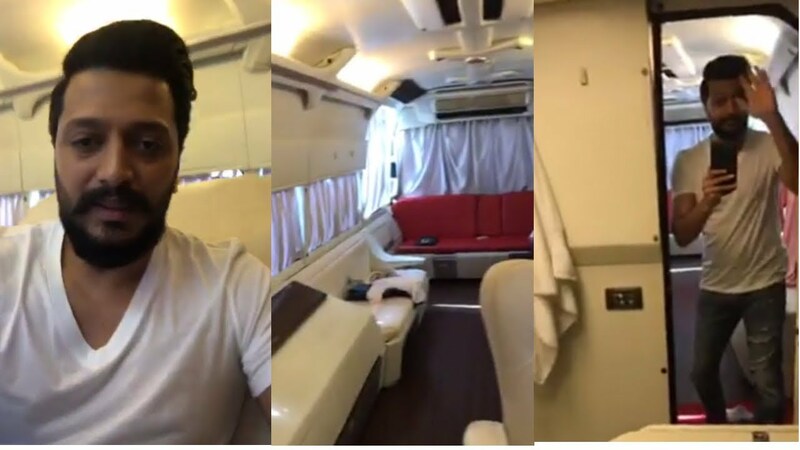 The interior of Riteish Deshmukh’s vanity van reveals his love for white colour. The van has white colour furniture and blinds, giving it an elegant style. Minissha Lamba poses inside her vanity van. She shot a special video to give people a sneak peak of her van’s interior. Kareena Kapoor was snapped inside her vanity van. The interior of the van speaks louder about her tastes and preferences. Kapil Sharma is one of the highest paid tv actors in the world. 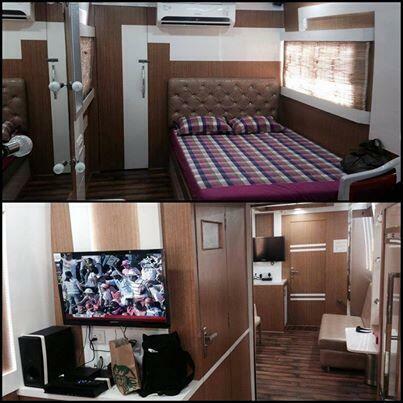 He also owns a vanity van that is well furnished and equipped with all facilities. Malaika Arora Khan looks fabulous as she posed inside her vanity van. Her vanity van is also equipped with all the amenities. 40+ Rare Childhood Photos of Bollywood Celebs. We Bet You Can’t Guess Them All!! 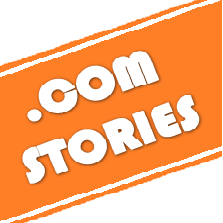 ©DotComStories . All Rights Reserved.